Lizbeth Carmichael, administrator of Countryside Manor, spoke with Senator Osten, Representative Walker, and the members of the Appropriations Committee at the Public Budget Hearing Tuesday, March 5, at 4 p.m.
For over twelve years, the state of Connecticut has not provided any additional Medicaid funds to nursing homes. 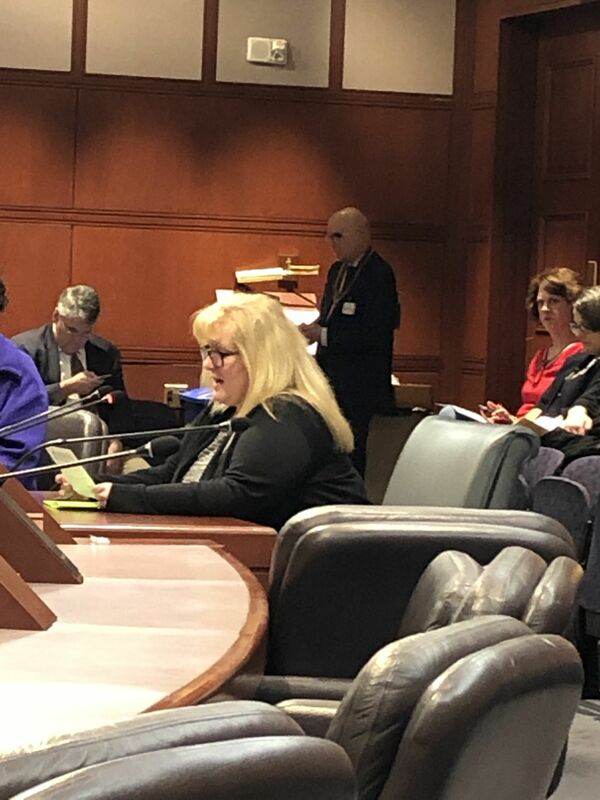 With the funding crisis nursing homes have faced in recent years, it is getting harder and harder to provide the quality care that the aging population of Connecticut deserves. With the proposed increase in minimum wage, nursing homes are now in dire need of additional funds in order to recruit and retain a staff equipped to serve a more complex nursing home population. For us to provide our residents with the care in which they deserve, policymakers must make nursing home funds a priority in this year’s state budget.